One of the pi votal responsibilities of every Christian generation is to engage the Scriptures exegetically and theologically. A number of fine commentaries are available to assist this task. 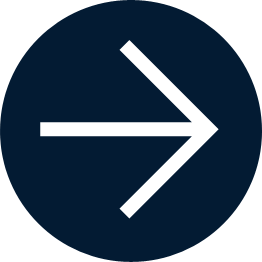 During the 2012-13 academic year, Catalyst will provide a four-part series discussing the best and more recent contributions to evangelical commentary on the NT writings. Among the commentaries now available on the Gospel of Matthew, many students and pastors will want to turn first to R.T. France’s contribution to the New International Commentary on the New Testament (NICNT; Eerdmans, 2007). This is a lucid, stimulating volume from a scholar whose interest in Matthew spans several decades – and whose mature reflections are evident on most every page. For insightful engagement and critical detail, students with Greek may turn to J. Nolland’s up-to-date contribution to the New International Greek Text Commentary (NIGTC; Eerdmans, 2005). Nolland exhibits an impressive sensitivity to the nuances of the Matthean narrative that will repay careful reading of his commentary. C.S. Keener’s study (Eerdmans, 1999) is marked by his particular interest in the socio-historical contexts of the First Evangelist and his first-century audience, combined with pericope-by-pericope suggestions regarding the nature of Matthew’s exhortations to his predominately Jewish Christian audience. 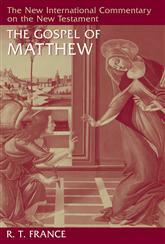 Theological reflection on Matthew will be aided by M. Simonetti’s two-volume contribution to the Ancient Christian Commentary on Scripture (ACC; InterVarsity, 2001-02), which indexes the best of Christian writing on Matthew’s Gospel during the first eight centuries. Recent years have seen the production of a virtual cornucopia of monographs and special studies on the Gospel of Mark, and these are now joined by a steady stream of commentaries on the Second Gospel. Working with the Greek text is R.T. France’s work in the NIGTC (2002) — a reliable, verse-by-verse commentary on this “biography,” which France unpacks as a “drama in three acts.” In the Sacra Pagina series, J.R. Donahue and D.J. 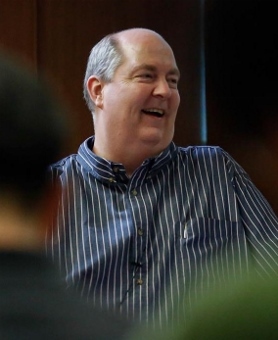 Harrington focus on intratextual (reading Mark as Mark, rather than with reference to its prehistory) and intertextual (how the text of Mark draws on other texts, especially the OT, to interpret the person and mission of Jesus) forms of analysis (SP; Liturgical, 2002). Finally, J. Marcus has completed the second of his two-volume contribution to the Anchor Bible (AB; Doubleday, 2000, 2009); Marcus situates the Gospel against the apocalyptic backdrop of the Jewish War. The ACC on Mark, by T.C. Oden and C.A. Hall, provides a registry of insights from the early church (1998). An impressive assemblage of commentaries is available to the student of the Gospel of Luke. Two are of special interest to those seeking to read Luke as Luke. The most recent is R.B. Vinson’s contribution to the Smyth & Helwys Bible Commentary, an insightful reading of Luke that engages contemporary audiences prophetically (Smith & Helwys, 2008). The commentary on Luke in the NICNT (1997), by J.B. Green, brings together socio-cultural and narrative concerns so as to allow an extended engagement with Luke’s literary art and his theology, ethics, and spirituality. The admirable work of F. Bovon, previously available in German and French, has begun to appear in English (Hermeneia; Fortress, 2002, 2012). In his introduction, Bovon lays claim to his theological commitments and ecclesial location as partners in the interpretive enterprise, and this combination of commitments is on display in the pages of his first two volumes, covering Luke 1:1-19:27. From the ACC, we have the volume on Luke by A.A. Just Jr., a valuable window into the first eight centuries of interpretation of the Third Gospel (2003). The NICNT volume on the Gospel of John, by J.R. Michaels (2011), is an essential resource for students of the book by someone whose decades-long appreciation of and engagement with the Fourth Gospel have led to fresh interaction with its literary-theological character. For useful, all-around companions, A.T. Lincoln’s contribution to Black’s New Testament Commentary is a welcome resource (BCNT; Hendrickson, 2005), as is G.R. O’Day’s sensitive and reliable work in the New Interpreter’s Bible ([NIB; ed. L.E. Keck; Abingdon, 1995], 9:491-865). In his commentary, H. Ridderbos prefers to explore the significance of the gospel message as found in the Fourth Gospel “as the Christian Church adopted it,” and the result is a useful study to be appreciated by preacher and student alike (Eerdmans, 1997). On the Acts of the Apostles, students should be aware of several eminently useful works. Beverly R. Gaventa’s work in the Abingdon New Testament Commentaries (ANTC; Abingdon, 2003) combines erudition and accessibility, two attributes not often found in tandem. Her emphasis on Acts as a story of divine activity provides a welcome and engaging, theological reading of this important book. Students and pastors will be impressed by the canonical perspective and theological interests that distinguish R.W. Wall’s contribution to the NIB (, 10:1-368). Hendrickson has published F.S. Spencer’s creative and stimulating work under the title, Journeying through Acts (2004); relatively short in compass (about 250 pages), it is nonetheless fresh in its engagement with the text of Acts. For critical attention to historical and grammatical questions, students may turn to D.L. Bock’s work in the Baker Exegetical Commentary on the New Testament (Baker Academic, 2007). Finally, and most recently, D.G. Peterson has written an extensive, literary-theological study of Acts for the Pillar New Testament Commentary (PNTC; Eerdmans, 2009).